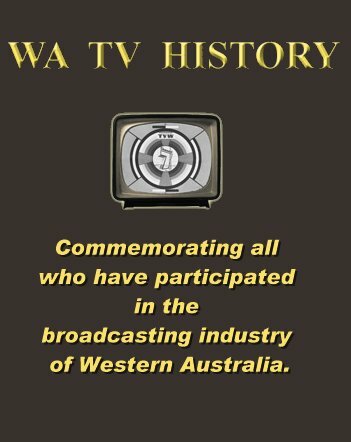 Western Australian Television History (WA TV History) » Blog Archive » The end of Local TV… or is it? At a recent gathering of folk involved in the media, former TVW Managing Director Kevin Campbell detailed the desirable affects of an intensely-local television format, which proved most successful in Canada. This is the Citytv concept. Kevin also outlined his funding initiative for community television, and the worth of this medium as a means of maintaining local content, since the big networks have moved away from providing this adequately. This notion involved commercial stations giving a small percentage (0.25% to 0.50%) of their gross income to a body such as the Australian Communications and Media Authority (ACMA) for distribution to the community TV stations within Australia, to assure their viability. Unfortunately the politicians have yet to grasp the worth of this proposal. Perth’s community television station West Television (WTV) is a locally focused broadcaster aiming to reflect Australia’s cultural diversity and provide an alternative viewing platform. Combining nationally produced shows with locally produced material. WTV delivers a broad range of local programs targeting the diversity and needs of the community with documentaries, films, sport, music, education, multicultural, entertainment, leisure and lifestyle programs. West TV Channel 44 claims to be Perth’s only 100% locally run TV station, which is something the mainstream stations can no longer claim. At this point one needs to place the issue in its historical context, so that the reader may appreciate what has been lost and how this came about. One of the factors that kept TVW Channel 7 a ratings leader for so long was its close association with the community, being recognised for its local presence and ongoing involvement with the audience. Much local production contributed to this. Activities which connected with the public and often brought them into the studios or grounds, whether that be for the annual Telethon, studio tours, as a studio audience, or activities such as the Hole in One Days, where the vast lawn area took on the appearance of a fair ground with rides, food, drinks, contests and entertainment. Then there was the Birdman Rally, Milk Carton Regatta, the Christmas Pageants, and many more. STW also had its share of local productions with many in the children’s and variety category. Channel Niners Club, The Entertainers, Perth Young Entertainers, Appealathon, Clash of The Creatures, The Squirrels Club, Flapper’s Super Heroes, Flapper’s Fun Factory, New Faces, Summergirl, About Homes, Girl About Town, Clapperboard and many more, including documentaries. Nine Perth’s local productions have had a strong focus on WA-centric lifestyle such as Garden Gurus (Lifestyle – Gardening), Just Add Water (Perth summer lifestyle), The Wonders of Western Australia and Postcards WA (Travel). Veteran of the ABC, NEW and STW’s Postcards, John Barnett reports on his experiences with Postcards and Just Add Water. Unlike TVW and STW, the ABC’s ABW Channel 2 in Perth was relayed to an ever increasing scope of regional transmitters, and because of their wide coverage, provided much local content aimed at Western Australians all over the State. The Rural Department presented programs such as the Weather, To Market, Country Call, Town and Country Magazine, Greenfingers etc. People engaged in presenting these included John Barnett, Tony Bagery-Parker, John Colwill, John Tefry, Graham Macaffee, Anthony Patrick Wykham-Fiennes, Rory Sutton, Owen Grieve, Grant Woodhams, Michael Schultz, George Shaw (poultry) and Clee Jenkins (wildlife). Then there were the 5 to 7 Rural contributors like Phil Harwood (Pets) and Phil Bodeker (Gone Fishing) and others. 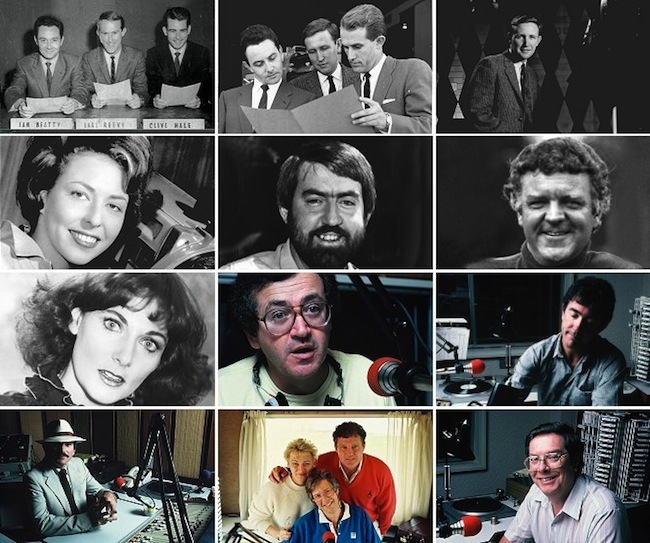 The ABC was also engaged in early variety shows, education, talks and the pioneering of local current affairs. Outside broadcasting has always been a strong point with the national broadcaster, and remains so to this day. TVW established a brisk pace in the field of local production before STW came on the scene in 1965. Shows such as Spotlight, Relax with Rolf, Children’s Channel Seven, Teen Beat, Tuesday Date, Oriental Cavalcade, Today, Televisit, Do You Remember, Dwellingup Fire Telethon, Club 7 Teen (Gary Carvolth), Perth Commonwealth and Empire Games (covered also by the ABC), Songs of the Wars, Viewpoint, Sport at Seven, Manhunt, Invitation to the Dance, The Nutcracker, Hootenanny, Baptism of Fire, Sandover Medal, Sports Star of the Year, Miss WA Quest, Miss West Coast, Miss Australia Beach Girl, In Perth Tonight, The Good Oil, Bradman, Club 7 Teen (Johnny Young) and many Football OB’s. The tempo did not ease during the watch of Sir James Cruthers, Brian Treasure and Max Bostock. Local production was still being championed by Kevin Campbell right up to his retirement in 1999. 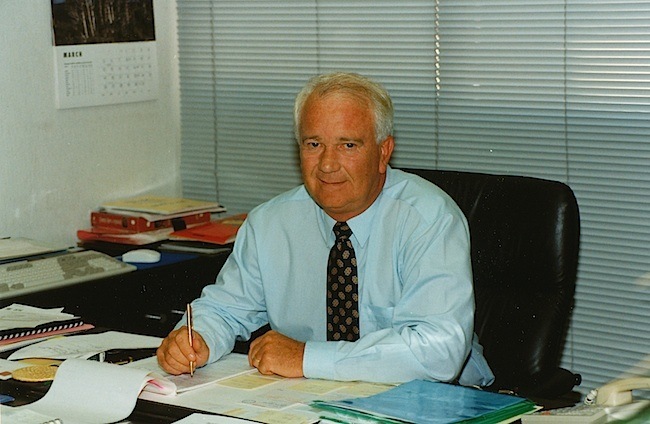 TVW Limited was based on the proposition that they were a ‘local’ company representing the interests of Western Australia and Western Australian investors. The station was not formally or financially locked into one or other of the Eastern states networks. Western Australia was isolated and television was then an independent operation. Initially programs were either on film or live, until videotape enabled the sharing of quality recordings of television shows made in various Australian TV studios with electronic cameras, rather than film. It was not until July 1970 that a micro-wave link enabled direct program transmission between the east and the west, but at great cost to book the Telecom bearer. In 1977, Kerry Packer was frustrated by Telecom’s high prices and lack of flexibility so lobbied the Fraser Liberal federal government for a simple, off-the-shelf system that would link TV stations by using a small number of expensive ground stations. The government wanted to take it a stage further to allow people in remote areas to receive TV, radio and reliable telephone service for the first time, and provide a number of interchange circuits to enable radio and television stations to share programs in real time, and provide data links for businesses between distant premises. In 1978, STW9 decided to affiliate with the Nine Network, while retaining full control over its programming and advertising decisions. Meanwhile, matters with the Telecom provided Eastern States link got worse, which by 1981 had risen 1200% over the previous four years, so the government formed AUSSAT, a government owned company to own and operate Australia’s national satellite system. In 1982, Robert Holmes a Court and his Bell Group bought TVW-7 and in 1983, Alan Bond’s Bond Corporation bought a major share holding in STW-9. In 1985, Australia’s first two satellites were launched (A1 in August and A2 in November) and the domestic satellite services commenced. The AUSSAT domestic satellite launch significantly reduced the cost of program delivery to Perth from the east and vice versa. In March 1987 a Senate Select Committee recommended that the ‘two station’ rule be abolished as part of a total replacement of the old Broadcasting Act 1942, which opened the door for further television station acquisitions. The same month, Alan Bond bought the key Channel 9 stations TCN in Sydney and GTV in Melbourne from Kerry Packer for about $1 billion and added them to QTQ-9 in Brisbane and STW-9 in Perth, to form the Nine Network. The next month (April 1987), the Christopher Skase Qintex organisation purchased Channel Seven in Sydney (ATN), Melbourne (HSV) and Brisbane (BTQ) from John Fairfax Ltd, to begin the process of building the Seven television network. Meanwhile, in the same month Frank Lowy bought two key Channel 10 stations, TEN in Sydney and ATV in Melbourne from Rupert Murdoch’s News Corporation for 842 million. Then on 27 December 1987, SAS-10 and ADS-7 switched frequencies and network affiliations in Adelaide, ADS moved to channel 10 and SAS moved to channel 7. SAS was owned by TVW Channel 7 in Perth and ADS was owned by Kerry Stokes. Meanwhile in Perth, Brian Treasure’s West Coast Telecasters, funded by Kerry Stokes and Jack Bendat, was the successful applicant for the Channel 10 licence, but they sold the company to Frank Lowy’s Northern Star Holdings before it went to air. The sale took place in August 1987, when Lowy also purchased ADS-10 in Adelaide from Kerry Stokes, to complete the Ten Network. The following year, on Friday May 20, 1988, Perth’s third television station NEW Channel 10 opened. In 1996 Kerry Stokes acquired a strategic stake in the Seven Network, and Nine and Ten have undergone ownership changes, but the network structure seems set in concrete, though the owners may change from time to time. The same dynamics that impacted on the commercials stations also hit the ABW local activities. No longer was there a need to freight in programs for presentation by a full crew replaying films and videotapes. Virtually all television shows are now networked and little made in WA. Satellite program distribution and time shifting delay machines made many staff redundant. New technology, the satellite and ownership changes enabled the Seven, Nine and Ten Networks to be formed, following the 1987 change in government policy.This was the death knell to autonomous and independent stations, and every network, commercial or ABC moved to the centralised distribution of programs based in Sydney and Melbourne. Even the regional broadcaster WIN (who now own STW-9 and NWS-9 in Adelaide) presents its programs from the Sydney located MediaHub facility, which is a joint venture between WIN and the ABC. SBS always existed as a centralised structure. AUSSAT’s predicted revenues were not achieved under its business plan and the company was left with large losses. AUSSAT was then bought by Optus in 1992, as a part of its tender to obtain a telecommunications licence that would allow it to compete with Telecom Australia. In 2001, Singapore Telecommunications Limited (SingTel) acquired Cable & Wireless Optus Limited. Canada bucked this trend with its Citytv concept. Citytv stations had an intensely-local format based on newscasts aimed at younger viewers, nightly movies, and music and cultural programming. 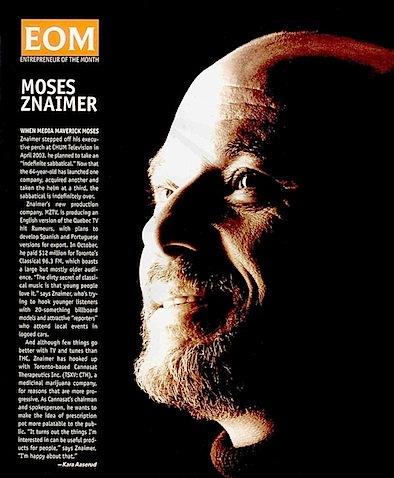 Moses Znaimer is the broadcast pioneer best known for his work creating the television phenomenon known as Citytv, which was founded in Toronto in 1972 and pursued a programming strategy targeting hip, young and urban audiences. Citytv stations had an intensely-local format based on newscasts aimed at younger viewers, nightly movies, and music and cultural programming. They produced much more local programming than most other Canadian television stations, including the daily talk show CityLine; magazine series such as The New Music, Toronto Rocks, FashionTelevision, Life on Venus Ave. and MovieTelevision; and interactive series such as Speakers’ Corner. As well, the station often pursued synergies with its sister cable networks. Speakers’ Corner was a television series which aired weekly on Citytv, featuring numerous unscripted short segments on a variety of topics as recorded by members of the general public such as rants, jokes, music performance, etc. After the video was complete, it was edited for television. The show was an example of Citytv founder Moses Znaimer’s philosophy of interactive broadcasting. The Breakfast Television studio had windows facing the street, and as a result, passers-by were shown on camera, behind the hosts and guests. While the employment of storefront studios has now spread worldwide, Citytv was the first to have such a layout. Eventually the culture changed as ownership changed and by 1981 CHUM Limited acquired full control with the sale of Moses Znaimer’s interest in the station. Then in 2007, CHUM’s five Citytv stations were sold to Rogers Communications. Rogers Media then announced the cancellation of Speakers’ Corner in 2008, citing the emergence of other interactive media. Then following the impact of the 2009-2010 economic crisis and structural problems facing the conventional television sector in Canada, Rogers Media announced cost-cutting measures at the Citytv stations on January 19, 2010, which included massive layoffs and the cancellation of a number of newscasts. As The Globe and Mail’s TV columnist John Doyle wrote one week after the dismissals, “one of the continent’s most recognizable news brands has been destroyed,” arguing that corporate powerhouse Rogers Media had “disemboweled” what once made City special. 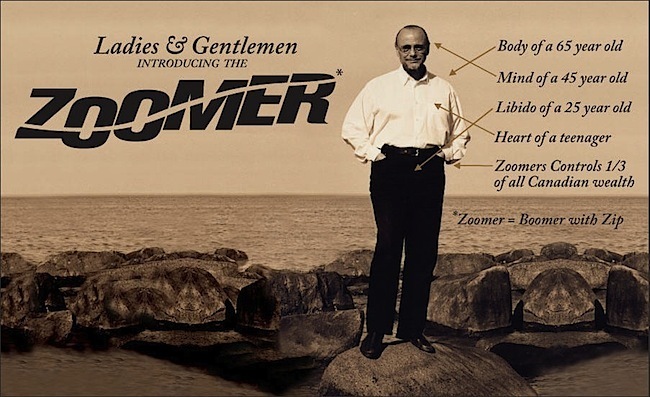 Meanwhile, what Moses Znaimer did for the hip, young and urban audiences of 1972, he’s now advocating for Canada’s largest and most affluent demographic – the 45 plus, which he calls the “zoomed” generation, or “baby boomers with zip”, defined as people in their 50s, 60s and 70s who want to remain socially and culturally engaged and active. His latest company ZoomerMedia was formed in December 2007 and now operates several Internet properties including a portal and a social networking site, all targeted to older adult audiences. 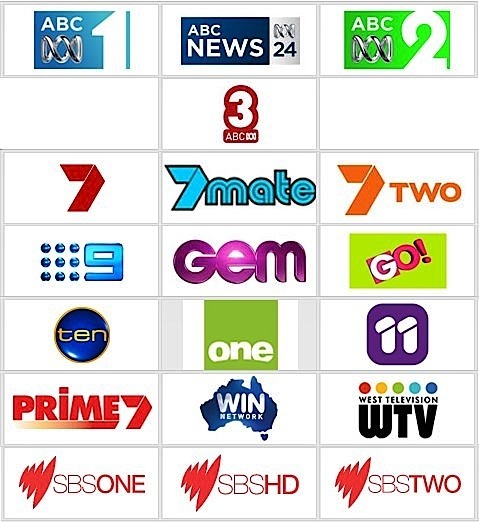 The multiple channels in Australia obtained through digital television does not mean better TV, as much of it contains regurgitated shows, often with standard definition fare taking up a high definition channel. Even though PayTV offers many more channels, there’s no guarantee that what you want will be available when you need it. 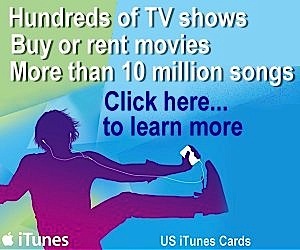 Hence the growing popularity of view on demand services. Every genre can be serviced through the Internet and the source can be anywhere in the world. Yet there continues to be new talent discovered daily by gifted people uploading their compositions, acts or unique perspective on the world. What becomes viral is what the world likes, rather than be filtered by some company executive whose value judgements may often be out of kilter with the real world. It seems that the only way unfettered experimentation with the various demographics can be achieved is through the Internet, which is not controlled by the present media barons. Anyone with initiative and imagination can participate. No television licence or costly infrastructure is involved to get started, as the means of production is now more affordable and available to all with creative ideas and the motivation to try. Though YouTube contains a motley assortment of user created content, there are some gems emerging. Former broadcast and cable personnel are also being attracted to the new media, following dissatisfaction with working in the old. 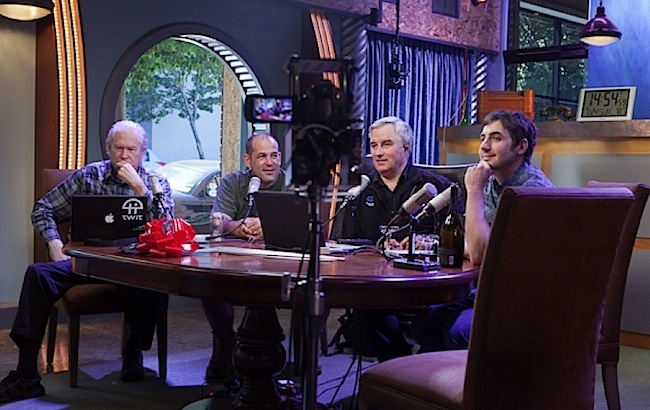 A good example is Leo Laporte, who broadcasts from his TWiT ‘brickhouse’ studios, based in Petaluma, California, USA. His shows are licensed under the Creative Commons, and are distributed via direct download from the TWiT.tv website, or from Apple’s iTunes Store. There is no download charge from either source. TWiT.tv became one of the first major advertising-supported podcast networks. In 2010, Laporte mentioned that his network would do three to four million US dollars in advertising revenue for 2010. Here is a case where a mainstream cable network self destructed though culture and ownership changes. Back in 1998, Ziff-Davis began the popular ZDTV, a geek network with a mass following, later to be owned by Microsoft co-founder Paul Allen’s Vulcan Ventures, to become TechTV a cultural hub for technology information worldwide. At the height of its six year run, TechTV was broadcast in 70 countries, reached 43 million households, and claimed 1.9 million unique visitors monthly to its website. After a number of ownership and name changes it alienated many of its followers. The fans have since flocked to its former hosts’ webcasts, most notably the TWiT Network and Revision3. There’s no reason Western Australians can’t tap into this avenue of opportunity. Many former WA program makers have been made redundant or retired from the industry. Young hopefuls are being trained by the highly regarded WA Academy of Performing Arts and other institutions. But many have to look to the east or overseas for employment. The recent gathering of folk involved in the media, referred to above, includes the former TVW Managing Director Kevin Campbell. This informal think tank is examining opportunities in Perth. Other members of the group include Bret Treasure, David Hawkes, John Cranfield, Ross Tinney, Richard Rennie, Jason Jordan and Trevor Kelly. This group includes people who have been or are presently connected with West TV, television presentation, production, management, operation and engineering with TVW, the ABC and 6IX. David Hawkes was also the inaugural head of broadcasting at the WA Academy of Performing Arts and Richard Rennie is the founder of the Light and Sound Discovery Centre. Trevor Kelly has a long association with engineering, planning and installation of broadcasting facilities. Bret Treasure’s father was a co-founder of TVW Channel Seven, Perth’s first commercial FM radio station 96FM, established the Perth Entertainment Centre and gained the licence for Perth’s third commercial television station NEW Channel 10 in Perth. Bret is also a Committee member of the Australian Web Industry Association and the Communications Manager for the National Speakers Association of Australia. We hope to report further on this venture in the following weeks.